Season-high three power-play goals leads BSM to victory. 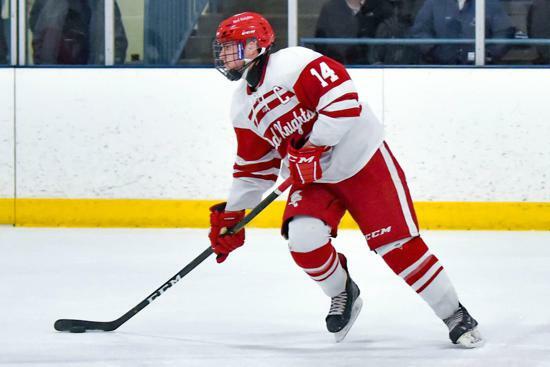 BLOOMINGTON, Minn. -- Benilde-St. Margaret's connected for a season-high three goals, which proved to be the difference for the ninth-ranked Red Knights as they handed Bloomington Jefferson a 6-3 defeat. The Jaguars handed BSM their only Metro West Conference loss of the season when they claimed a 3-2 win, Jan. 10. They then came out and scored just two minutes, 31 seconds into the game when Liam Kelii potted his fifth of the season. The Red Knights responded just 24 seconds into their first power-play chance of the night when Blake Mesenburg pounced on a James Callahan rebound and buried his team-leading 16th goal of the season at the 8:02 mark of the first frame. With the score tied at 1-1, BSM's fourth line found itself on the ice and Asher Connolly flipped the puck out of his own zone, sending Jonny Woodford racing out of the zone. Adam Marshall tied his season high with three points, including his fifth goal of the year. Nate Schweitzer set up a pair of power-play goals to help the Red Knights seal their 15th win of the season. He out-raced on Jaguar defender to pick up the puck in the left corner. He skated behind the net and passed the puck out front, when it hit another Jefferson defender in the skate and deflected into the net with 2:22 to play in the stanza. Gavin Wendorf proceeded to tie the score for the home team just 31 seconds into the second but, less than three minutes later, Jett Johnson deflected a shot from Brady Yakesh to restore the one-goal lead. That lead, however, was short lived as Carter Eha scored 50 seconds late to tie the score again, at 3-3. 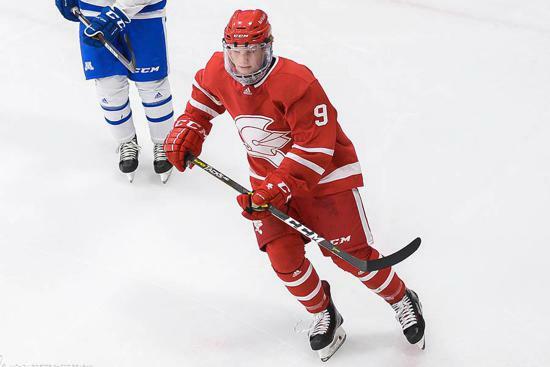 BSM's second power play of the game came with 3:45 remaining in the second period and, again, was a short one as, 26 seconds after it started, Jackson Bisson tipped a Nate Schweitzer shot from the blue line to put the visitors ahead for good. The Red Knights then tacked on two goals in the third period. The first coming at 8:44 when Adam Marshall and Jonah Mortenson raced into the zone on the right side. Mortenson eventually took the puck to the net and, after a couple of attempts at shoving the puck past goalie Max Ritchie, Marshall circled the net and came back out front to bury the rebound. BSM then spent all but two seconds of the game's final 5:39 on the power play and, with 3:17 to play while on a 5-on-3 power play, Schweitzer made a pass from the left point to Mesenburg in the bottom of the right circle. The Red Knights' scoring lead wasted no time in release a shot which beat relief netminder Ryan Setiz on the short side before he could slide across to cover the opening. BSM used 16 power-play shots to hold a 48-19 advantage in shots on goal and had an 86-28 advantage in total shot attempts. Up next for the Red Knights is a battle with Metro West Conference-leading and 15th-ranked Chaska, Thursday, as BSM returns to the St. Louis Park Recreation Center, for the first time in three weeks, for a 7 p.m. game.